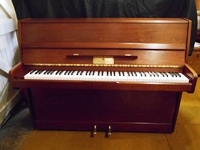 A very good quality upright piano in a satin mahogany case. Manufactured in London circa 1979. English Schwander action. Offered reconditioned and in good order. 7 1/4 octave keyboard. 2 pedals (1/2 blow and sustain). Overstrung with a full iron frame. Height = 110 cms. Width = 140 cms. Depth = 52 cms. 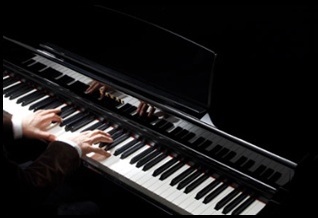 inclusive of delivery to ground floor, VAT, 1st tuning and 3 year guarantee.